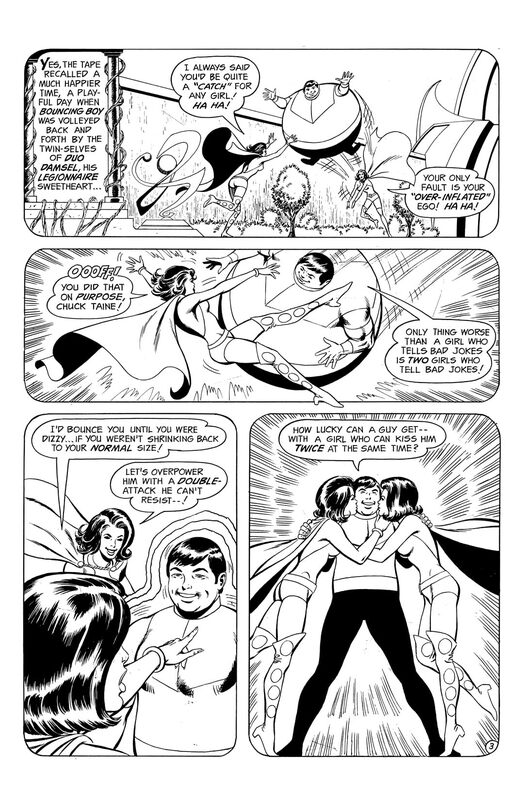 When Bouncing Boy discovers his powers are gone for good, he decides to ask Duo Damsel's hand in marriage. 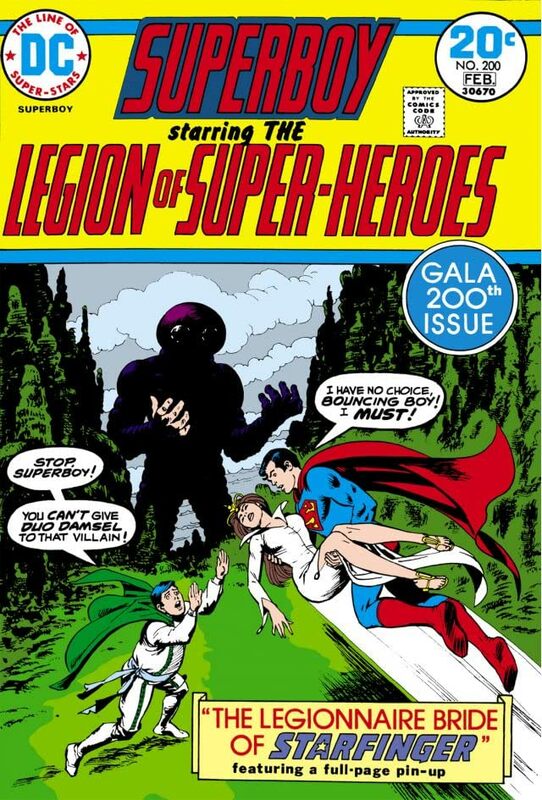 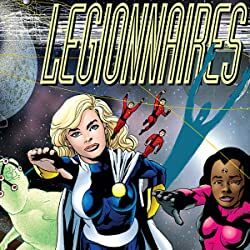 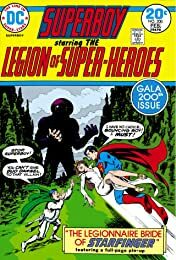 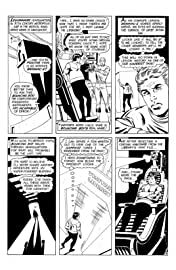 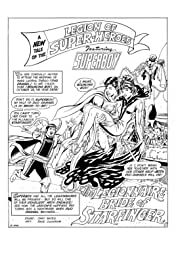 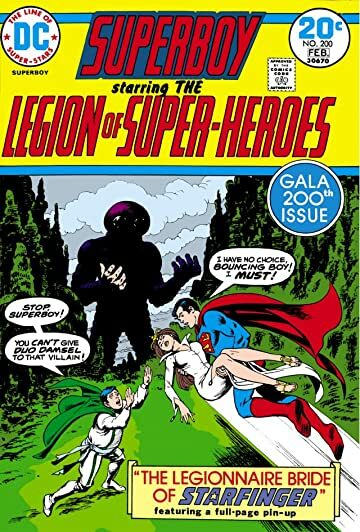 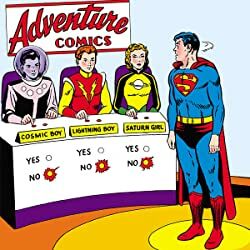 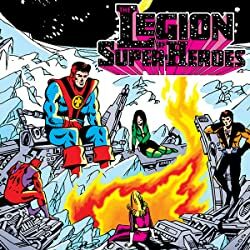 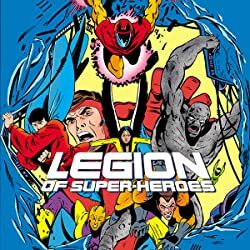 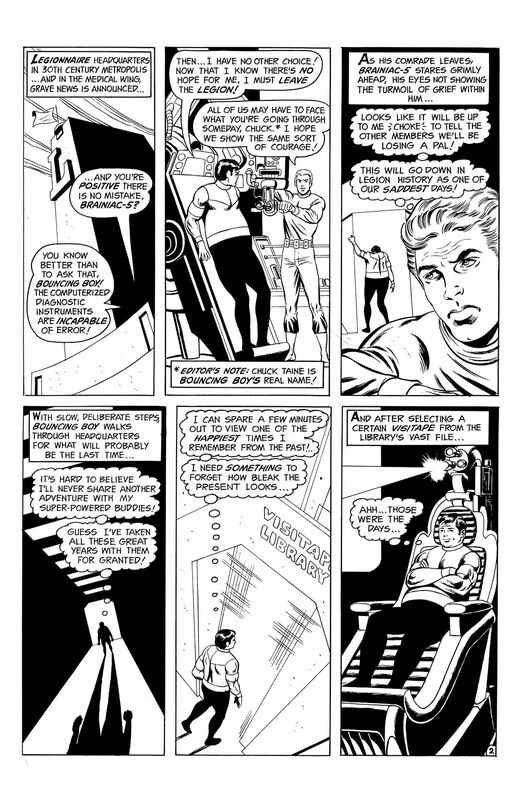 But when Starfinger shows up demanding possession of the heroine, it's up to the Legion and Superboy--and a powerless Bouncing Boy--to save the day! 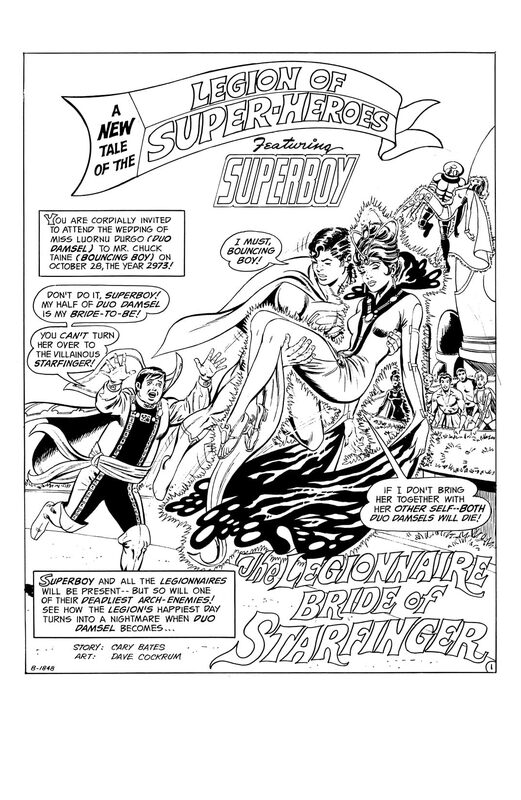 Contains pages reproduced in black and white.